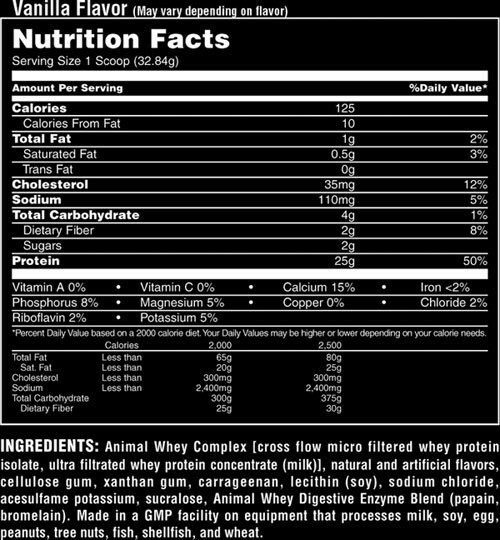 What's In Universal Nutrition Animal Whey? Mix 1 scoop of Animal Whey with 4-6 ounces of skim milk or your beverage of choice. For best results, use a blender or Animal Shaker Cup. On training days, use 2 or more servings of Animal Whey post-workout or whenever more protein is required. For more flavor, use slightly less liquid when mixing up Animal Whey. 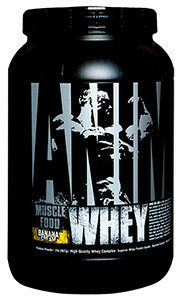 We have a large selection of in-stock UNIVERSAL NUTRITION products including Protein items and others for the lowest prices at SameDaySupplements.com® It's always easy to shop for Animal Whey Protein By Universal Nutrition at SameDaySupplements.com® because you can browse by reviews, brand, prices or search for specific ingredients using our search tool. In-stock orders placed before 3pm EST ship out the same day to USA, Brazil, United Kingdom, Canada, Germany, Australia, Japan, India, France and worldwide at the cheapest prices online.